Sara Clark, 12 grade and Andy Crowe 3rd best, 11 grade! Now on the Worlds in Ocean City! There were 7 students of 21 that placed well in Junior Duck Stamp Competition. 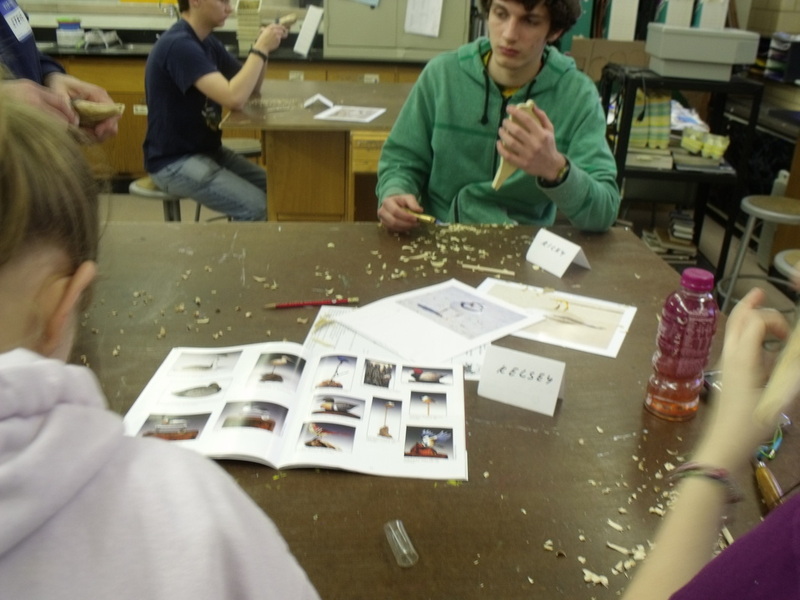 Some 20 high school and grade school students began the process of carving a Piping Plover on December 12, 2012! 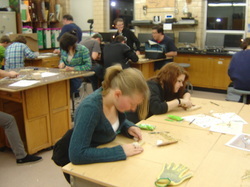 Most of the students did a great job in carving the Piping Plover! 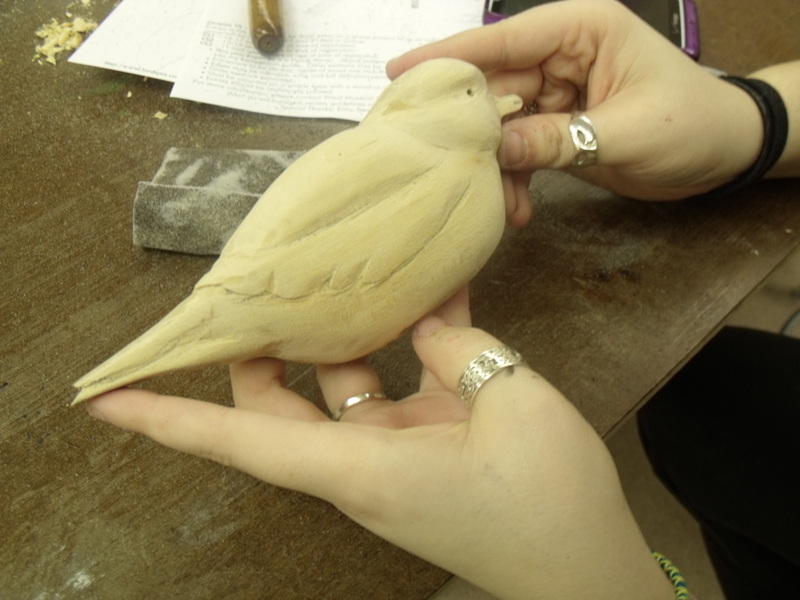 Their next step is to finish carving, sand, add an eye and then seal the bird on January 7, 2013! 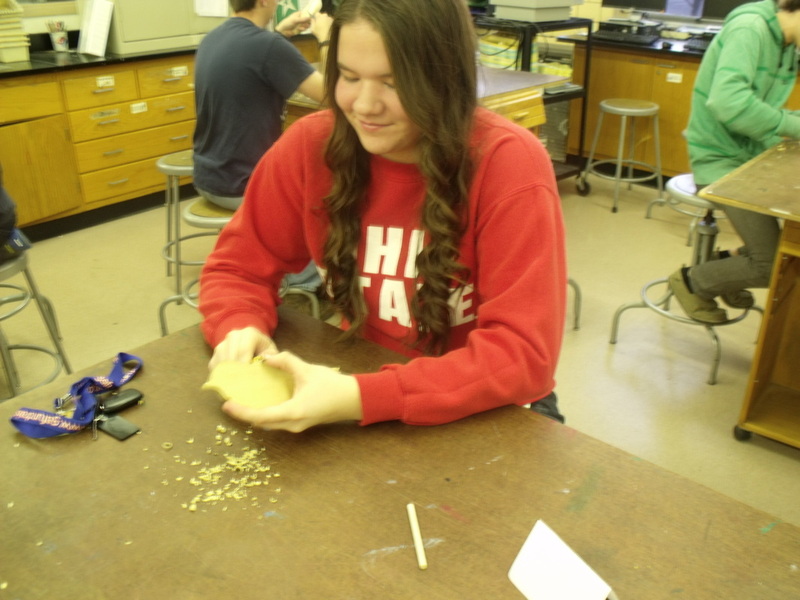 The group leaders of this project are Lloyd Triggs, Art Teacher, Bowling Green High School, Steve and Garrett Secord and Bob Lund of the Maumee Bay Carvers! 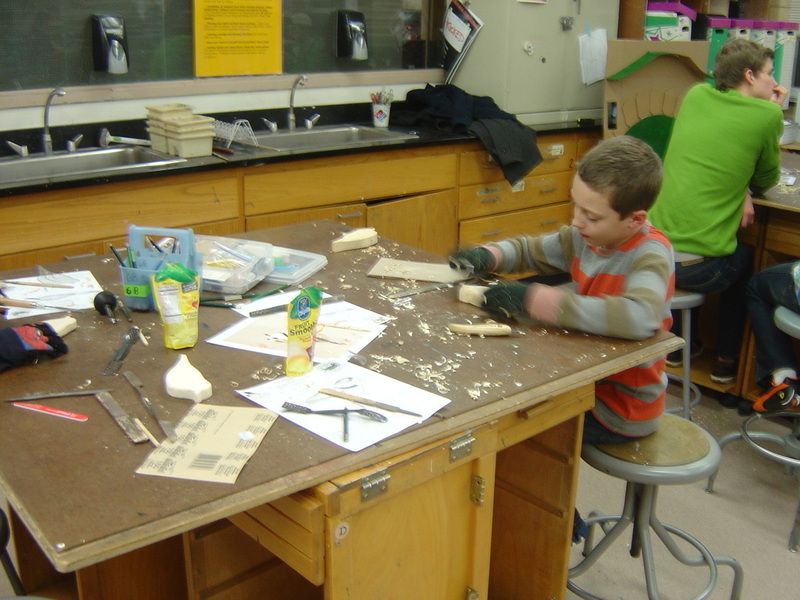 When this project is complete the carvings will travel to Ward World Competition for judging in the youth contest in April of 2013!